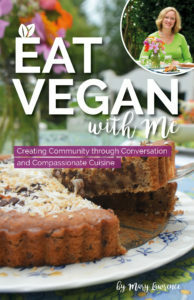 Growing vegan awareness one book at a time. VP: Thank you so much for the important and incredibly difficult work that you do to help animals. Can you tell us how The Ghosts in Our Machine is related to your upcoming book, We Animals? JM: The book was on the back burner for some time. In some ways, the We Animals photos have a greater reach through national and international campaigns and social media, so I’ve been concentrating on that for many years now. However the book is one more venue for getting the message out, and with Liz Marshall’s encouragement, I got to work on the book again in the last few years. As you know, in part of the Ghosts film we see me working on the book. The US release of the film coincides with the book finally being finished and published. Both the film and the book are tools for education, and we’re both artists using our skills in the service of change. We want the film and the book to be seen by as many eyeballs as humanly possible! VP: Throughout the film, it was clear that your work in photographing animals takes its toll on you emotionally, and you likened yourself to a war photographer. Can you talk about that a little bit if that’s not too personal? JM: I refer to myself as a “war photographer” not to bring attention to me, but to a war. It’s a different, and startling, way of referring to our relationships with animals. People have to think about what the heck I mean when I say it. Many war photographers are traumatized by what they’ve witnessed. I think it’s a natural and I would even say appropriate reaction to preventable and unnecessary violence. Anyone who’s working on the front lines needs to take very good care of their emotional well-being. For me that meant therapy, so that I had the tools to cope with what I’d seen (and not been able to change) and be able to be happy in a world filled with so much cruelty. And if I can be happy, we all can. There is much to celebrate; there is so much change happening and so much change that we can all take part in. Being a part of the solution is, for many, an antidote to not just the problem but to being weighed down by the problem. “Be the change” as Gandhi famously said. For activists and compassionate people out there who struggle with the emotions around bearing witness to animal cruelty (whether through front-line work or just learning about it and seeing pictures), there is a fantastic book by Pattrice Jones called “Aftershock. Confronting Trauma in a Violent World”. It’s a must-read and a great tool for us all. VP: Is there a particular event or photo that you’ve taken that sticks with you more than others? JM: Many! There is a photo of a pig whose gentle eyes watched me as I worked, taking photos, in a factory farm. I’ve met even as many as a hundred thousand pigs at this point; walked by them and photographed them in farms, acknowledging them all quietly and sadly. But this one caught my heart as she watched me work, and as I photographed her. She maintained eye contact. Hers was a lifetime of distress, but still she was calm. I’ve met a Malayan sun bear who, despite being kept in a tiny cage for 4 years while his gall bladder was tapped for bile, and then having his front paws cut off for bear paw soup, preferred the company of humans to his bear friends at his sanctuary home. While I was taking his photo he grabbed me with his stumps, because he wanted to play. And there is Ron, the chimpanzee who graces the cover of the We Animals book. His story is the last one shared in the book. He spent most of his life being used for research and living in a 5-foot by 5-foot by 7-foot cage, suspended above the ground. He was rescued by Save the Chimps. I carry all of these animals (and many more) with me in my heart. VP: An interesting moment in the film was when you were photographing gorillas in a zoo, and you can hear children enjoying themselves in the background as you were becoming increasingly saddened at what you were photographing. Similarly, you were photographing scenes at a marine theme park while we could hear the sounds of a happy audience. As a photographer, is it ever frustrating to you how others might see such things so differently from how you view them? JM: It is frustrating – I often feel like an island in these places – but it’s a background noise that I can only put so much energy into paying attention to. It is what it is and I’m trying to change it, trying to educate by taking photos and showing the world of animals through a more humane and realistic perspective. Giving energy to the frustration just brings me down, and there is much work to be done, so I have to stay focused on the work as best I can. If I can give any advice to activists, it’s to stay focused on the work, on the change happening, and on the good. It helps us all move forward and not get too bogged down. VP: The film highlights the power of photos in helping to change people’s perceptions, and how those who use and mistreat animals for financial gain are more afraid of their operations being photographed or filmed than anything else. Can you talk a bit about that? JM: Like “Marcus” says in the film, industry is far more concerned with photos being taken inside their facilities than economic damage that activists might cause, or liberations that take place. Most animal industries, be it farms or testing or animals used in entertainment, have insurance to cover those damages. No insurance, however, can fix the problem of being exposed as cruel. Photos have the capacity to move someone in an instant, and they have lasting power too. For example, it’s Thanksgiving in Canada as I write this. In 2005 I shot at a free-range turkey farm – the conditions in which the birds lived was disgusting, devastating. It’s a long story but all the birds were euthanized. I have a photograph of one of the turkeys there, not walking, fully plucked of feathers. This photograph has been shared thousands and thousands of times since it was taken. It’s making the rounds again on the internet right now, and has been used by organizations such as Farm Sanctuary and Mercy for Animals Canada. Photographs are a large part of what educates people and forces industry to change. VP: In the film you stated, “I am photographing history, and photographing changes in history right now, in terms of animal rights and where it’s going.” What do you see as the changes that you are witnessing through your work. JM: The end of bear bile farming is taking place. My hope is that bullfighting will end in my lifetime as well. People are becoming aware of the cruelty inherent in basically all of our uses of animals. Every day, I see people getting informed, engaged and involved. We have an uphill battle, for sure, but people are organizing on a personal and grassroots level and beyond. It’s one of the most important battles of our time. For the animals, for the environment, for everyone’s well being. VP: We loved how the film depicted not only animals in captivity and those who were to be killed, but also those at Farm Sanctuary and other rescued animals living happy lives. Can you tell us what it is about sanctuaries that you find to be so healing? 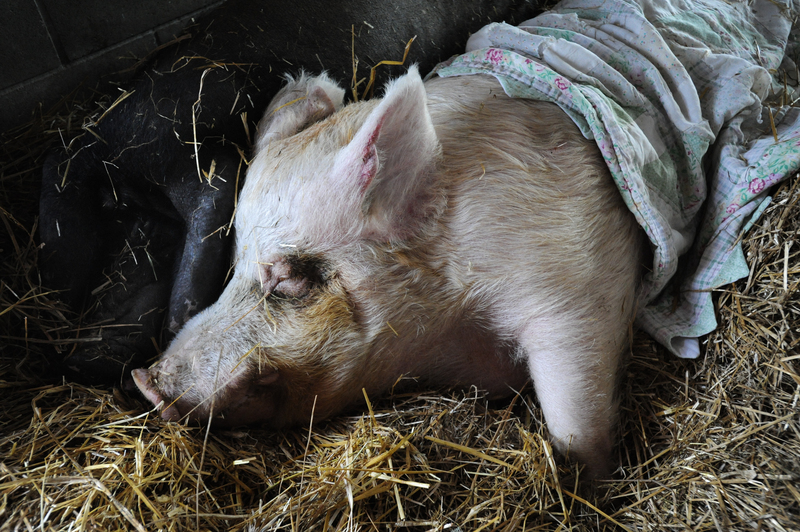 JM: Places like Farm Sanctuary offer respite to all animals, both human and non-human alike. 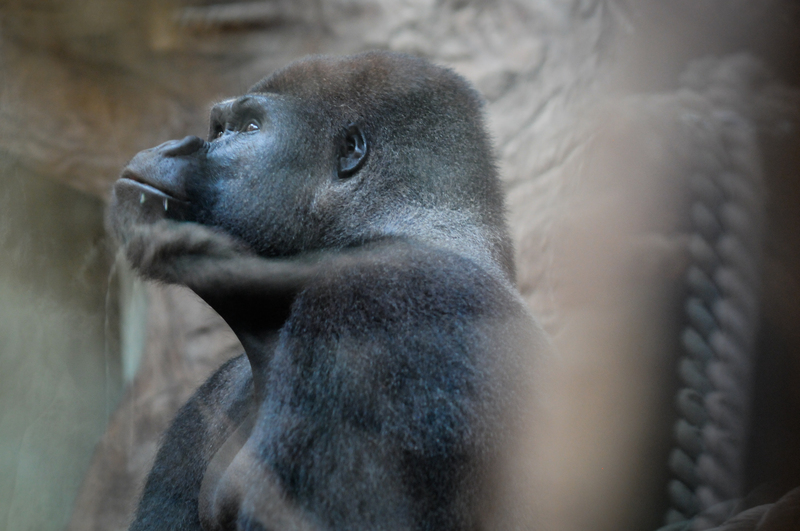 Sanctuaries show us an alternative to what our relationships with animals can be like. They offer a space for the true personality of animals to shine through. They are places of peace and we can learn from that peace. And revel in it! As activists, we need opportunities to balance the good with the bad. There are more and more sanctuaries cropping up which we can visit but more importantly, support, be it financially or on their volunteer days. On a personal note – visiting sanctuaries and meeting the animals there renews and reinvigorates my heart and my efforts to help all the animals who aren’t as lucky. And they are out there by the billions. There is much work to be done. The We Animals project was created by award-winning photojournalist Jo-Anne McArthur who has been documenting the plight of animals on all seven continents for over ten years. 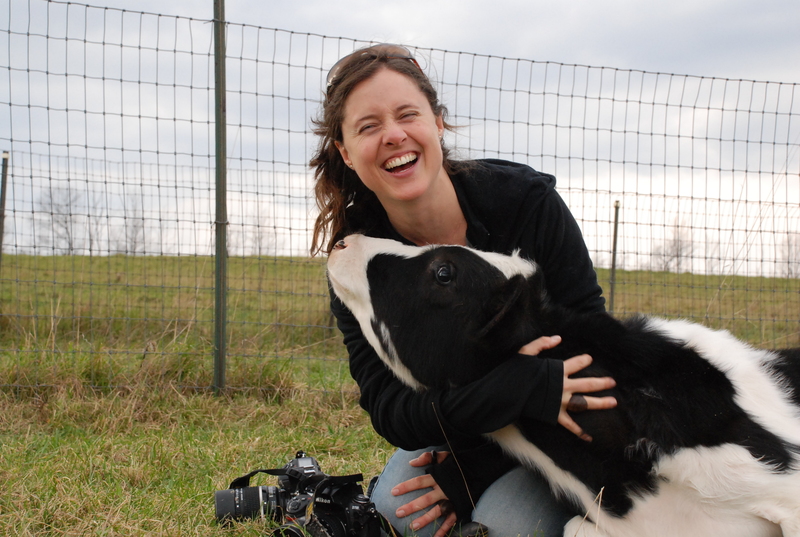 Her documentary project, We Animals, is internationally celebrated and over one hunded animal organizations, among them Igualdad Animal, Sea Shepherd and the Jane Goodall Institute, have benefited from her photography. Many organizations continue to work closely with Jo-Anne on campaigns and investigations. Recent awards and accolades include the 2013 Compassion for Animals Award; the 2011 Canadian Empathy Award (art category); one of CBC’s Top 50 Champions of Change; Farm Sanctuary’s 2010 “Friend of Farm Animals” award; HuffPost WOMEN’s “Top 10 Women trying to change the world”; one of 20 activists featured in the book The Next Eco Warrior; and the “Shining World Compassion Award” by Supreme Master Ching Hai. Jo-Anne is the subject of Canadian film maker Liz Marshall’s celebrated documentary The Ghosts In Our Machine and her first book, also entitled We Animals, was published by Lantern Books in 2013. She hails from Toronto, Canada. I’ve posted a short piece about Jo-Anne (with a few additional pics) on Photocommentary and will be interviewing her sometime soon. 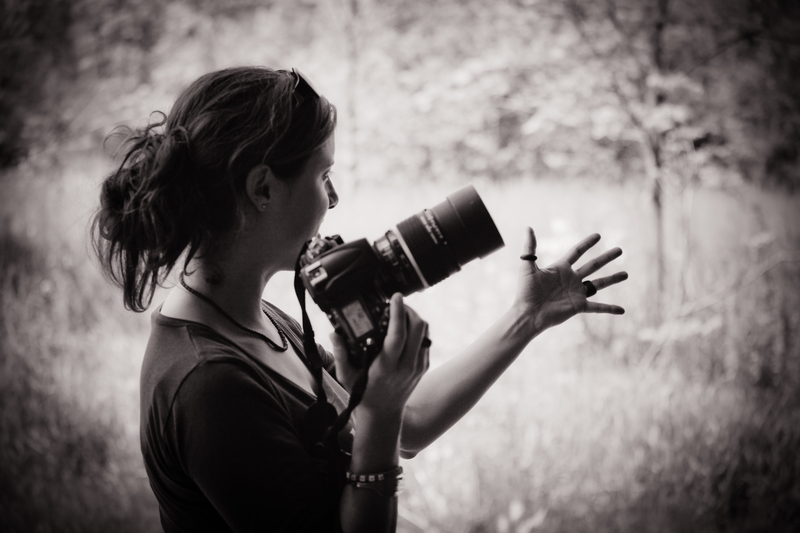 She is a warm, friendly person whose images convey the compassion she brings to the world! Free shipping for all orders over $50 in the US!